The façade of Lincoln Prison is an intimidating welcome for anyone entering the facility. Since its opening in 1872, few have escaped and those who have were often quickly re-apprehended. That is, except for the case of Eamon de Valera, the Irish dissident and future president of Ireland, who managed to escape to freedom in 1919 in a famous incident which briefly brought the Irish revolution to Lincoln. Eamon de Valera was born in New York in 1882 to an Irish mother and a Cuban father. Returning to Ireland following his father’s death in 1885, he became a radical revolutionary figure in Irish politics, fighting for independence from the United Kingdom. He was arrested and sentenced to death for his role in the Easter Rising of 1916, but this was later commuted due to his American citizenship. Following his release from prison in 1916, he quickly gained fame on the Irish political scene, becoming MP For East Claire in the House of Commons and becoming leader of Sinn Fein. He had also, however, gained notoriety amongst the British political elites, thus ensuring his eventual re-arrest and imprisonment at Lincoln. De Valera had been sent to Lincoln Prison for his part in a “German Plot” against the British, though this was merely a pretence to imprison the troublesome Irish politician. Once incarcerated in Lincoln, de Valera quickly began formulating his escape with the help of fellow prisoners John Milroy and John McGarry, as well as with other Irish Republicans on the outside, including Michael Collins. According to de Valera, he wanted to escape to “embarrass the English”, but more likely he was simply not a fan of being incarcerated (few are). Lincoln Prison today is in a much different environment when compared to its surroundings a century ago. To the rear and east of the prison were open fields surrounded by barbed wire, which the Republicans hoped to use to their advantage by sneaking de Valera through a rear door. The plans were sung to de Valera through a window in his cell by a fellow Irish inmate (in Gaelic to confuse the guards). The first song told him of the route of escape and a second gave him instructions to obtain a copy of the master-key for the prison. 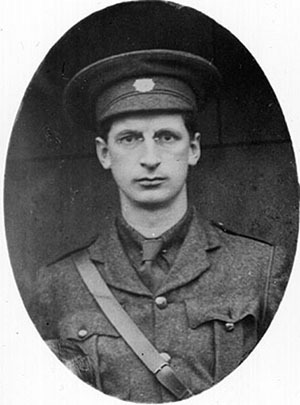 De Valera, to his benefit, was a deeply religious man and had been active in the prison’s chapel since his internment. Using his connections within the chapel, he managed to steal candles from the altar and while mass was being read, “borrowed” the master-key of the chaplain and made an impression of it in the candle wax, which he melted using his body heat. The mould was then packaged in paper and tossed over the wall of the prison so a duplicate could be made. The key was duplicated and smuggled in to the prison concealed in a cake, and the escape began on the evening of February 4, 1919. With Collins and other members of Sinn Fein having cut through the wire, a group of Irish girls were sent to flirt with the prison guards to ensure their backs were turned. The guards were suitably busy, so de Valera, McGarry and Milroy were able to walk to the back door of the prison, and after some difficulty (Collins had managed to snap the key in the door), escape the prison. De Valera was wrapped in a fur coat, and swiftly moved to the railway station where they split up, with Collins boarding a train to London and de Valera being driven to Manchester, after which he returned to Ireland briefly and then the United States. The prison officials, for their part, knew finding the men would be virtually impossible, and after a day’s search throughout the city, conceded defeat. The escape from Lincoln was major news, covered in all the national papers. Officials in the prison blamed the escape on the ability of special prisoners to interact with the general prison population. Regardless of the cause, however, the escape proved to be an important moment in Irish history; when a cake, a wax key and some pretty girls helped spring a future Irish president from Lincoln Prison.